Last week Bitcoin Magazine covered the announcement of Blockstream Satellite, a new service that broadcasts real-time Bitcoin blockchain data from satellites in space to almost everyone on the planet. Currently Blockstream Satellite covers across two-thirds of the Earth, and service expansions are in the works. The idea of streaming the Bitcoin blockchain to the whole planet from satellites in space had previously been proposed by Jeff Garzik, but Blockstream’s implementation introduces some interesting tweaks: It relies on existing commercial satellites already in orbit and leverages open-source software, namely GNU Radio and FIBRE, to reduce costs. You are essentially using existing commercial satellites as relays. Why is this approach better than building, launching and operating your own satellites, now that cubesats and cheaper cubesat launch systems permit doing so cost effectively? Chris Cook: While there have been many recent reductions in the cost of cubesats and other low earth orbit (LEO) satellites, it is still a considerably more expensive venture than using existing satellites. As cubesats are not geosynchronous, they are always moving overhead. This means that you need many of them for complete global coverage. Additionally, many cubesats have a lifetime of only a few months before they fall out of orbit. Either you need to continuously replenish them or you have to boost them into higher orbit, both of which increase costs. Finally, we have not entirely dismissed the idea of launching our own satellites. However, deploying a global satellite network with existing satellites seemed like a good first step. It allows us to deliver this service to people throughout the world quickly and cost effectively. What could you do with dedicated custom satellites that you can't do with the current system? Chris Cook: A dedicated satellite would potentially enable us to operate a node on a satellite itself rather than [have it be] supported from a ground station. What if political pressures force your commercial satellite service providers to cancel your contracts? 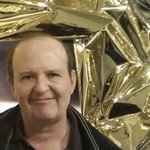 Adam Back: Because Bitcoin is already widely used and made available via other means in many countries around the world, the threat of the satellite broadcast of Bitcoin being canceled is not likely. The satellite network is providing redundant, low-cost availability for data that is already publicly available and downloadable by anyone over the internet. There are multiple satellites from different providers in the Blockstream Satellite network. Related to that, does Blockstream Satellite (or a conceivable extension) permit improving on the privacy and anonymity of bitcoin transactions? 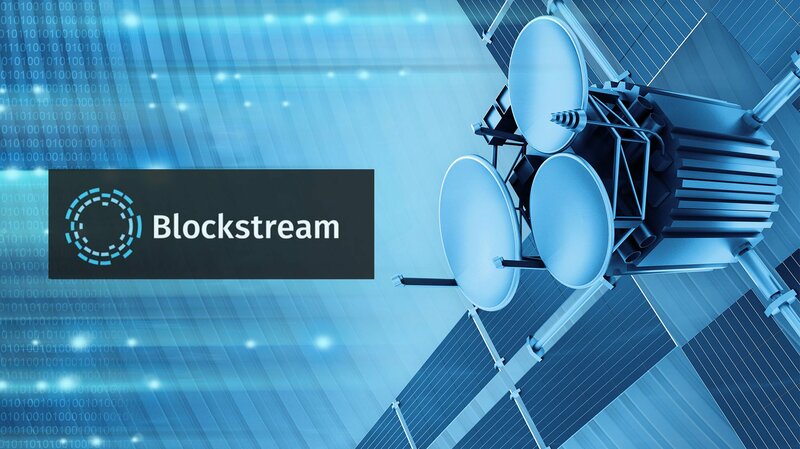 Adam Back: Blockstream Satellite allows passive receipt so there is basically no footprint of internet traffic allowing your ISP or monitoring companies analyzing the Bitcoin network to track your node. This may make it attractive even for users with fast home internet to use Blockstream Satellite, where they can then connect and pin their wallet to their home node via Tor. For geographies where high-speed internet is expensive or not available, they can connect smartphone wallets over WiFi or meshnet to satellite nodes, and broadcast transactions via SMS gateways such as SMSPushTX, by Pavol Rusnak, or bi-directional Ku or L-band internet services (available commercially and unrelated to Blockstream Satellite) which can be expensive, but even the most expensive at $10/MB works out to less than one US penny per transaction, as Bitcoin transactions are small. So, I have set up my Blockstream Satellite receiving station. I am not connected to the internet. 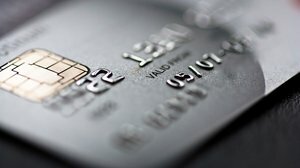 How do I send a bitcoin payment? Adam Back: See above via SMS, or often people do have 2.5G or 3G data but at expensive data rates. Because Bitcoin transactions are small, the cost of sending a transaction is small, even if receiving the blockchain would be expensive. For shared equipment, perhaps for a village or business area, a bi-directional satellite internet is also cost-effective, again because of small Bitcoin transactions. L-band BGAN is mobile, and Ku band [Hughes receivers] are fixed satellite dishes. Your FAQ says that transactions can be sent using other communication channels such as SMS. Do you operate your own SMS relays for bitcoin transactions or do you recommend using external services? If so, which ones? Adam Back: We do not at this time operate an SMS gateway but Pavol does (see above). We are working with and encouraging Bitcoin enthusiasts and entrepreneurs to build out custom infrastructure configurations and share setup tips online. What are some of the innovative “killer apps” that you hope Blockstream Satellite could enable? Adam Back: We see the Blockstream Satellite service as one stepping stone to decentralizing Bitcoin by radically reducing node cost and therefore scaling the ability for people to run nodes. Decentralization: One of the most interesting properties of Bitcoin is that it is a permissionless and digital gold-like bearer asset. To ensure Bitcoin stays permissionless, it is important that many people across many countries, [including] individuals and small businesses, run full nodes. By radically reducing the cost of running a full node, we hope many more people will, guaranteeing Bitcoin’s permissionlessness and reinforcing its bearer status. In terms of innovative applications, we intend to provide a developer API to send application data via the satellite paid in mBTC/KByte so that the developer community, startups and local entrepreneurs can bring new applications to market. We launched phase 1 satellite coverage across two-thirds of the world’s landmass, and we have plans for worldwide coverage by the end of the year. [As] Blockstream Satellite provides complete Bitcoin coverage globally, it becomes possible to access Bitcoin from a village without high speed internet and without grid power. Or with the right equipment, you could even access Bitcoin on the move from an RV or boat with motorized dishes.